A willingness to explore and ask questions, even when it’s uncomfortable, has marked Anil Ananthaswamy as a respected science journalist. Anil Ananthaswamy treaded cautiously across the lake ice, the worn soles of his leather shoes providing little traction as he tried to avoid the cracks in the meter-thick ice. Below the ice lay the frigid depths of Lake Baikal, a 400-mile-long body of water in southeastern Siberia. This forbidding landscape where winter temperatures regularly plunged below zero was not a place where the India-born, former software engineer might have envisioned himself when he gave up a lucrative tech career to study science communication at UC Santa Cruz in 1999, obtaining his certificate in 2000. But it was where a story about the hunt for subatomic particles called neutrinos had led him, and so Ananthaswamy followed—onto the dangerous terrain. It is that willingness to explore and ask questions, even when it is uncomfortable, that has marked Ananthaswamy as a respected science journalist who is a regular contributor to New Scientist magazine and also resulted in praise for his most recent book, The Man Who Wasn’t There, which explores how our brain and body create our sense of self. Ananthaswamy was interviewed about the book on NPR’s Fresh Air in July. Ananthaswamy’s stories have taken him deep into mines and to mountaintops in Chile. They have led him to observe long-duration balloon launches from the Ross Ice Shelf off Antarctica, and he has reported on drillers using boiling water to drill 2.5 kilometers into the ice at the South Pole to build the Ice Cube neutrino telescope. But it is his newest tome that has drawn the widest attention, with comparisons to the late neurologist and author Oliver Sacks. In the book, Ananthaswamy follows his longtime interest in our sense of self to explore what happens to the self in conditions like Alzheimer’s, schizophrenia, and autism. He also delves into disorders that tangle notions of the self, including a syndrome in which its sufferers—despite being told they are very much alive—believe with all their heart that they are dead. Ananthaswamy’s research also took him into the world of Body Integrity Identity Disorder, where he met a man named David who believed his leg was not his own. David was so tormented by this certainty, he traveled overseas to have his leg amputated. Witnessing a man voluntarily lose his leg was unnerving for Ananthaswamy, and yet he did not doubt David’s reality—rather, he tried to understand his suffering and the reasons behind such deeply held convictions and perceptions. “And I think the fact I accepted that made a difference in how open they were with me,” he says of those he interviewed for the book. In the end, as Ananthaswamy explains, our sense of self is multi-layered, the product of varying parts of our brains working with our bodies to give us a sense of who we are. 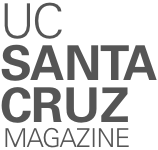 It was Ananthaswamy’s “need to tell stories” that brought him to writing, he says, but it was the lessons he learned about the rigors of reporting and journalism in UC Santa Cruz’s year-long Science Communication Program that gave him a career. It’s a decision, he says, he’s never regretted.